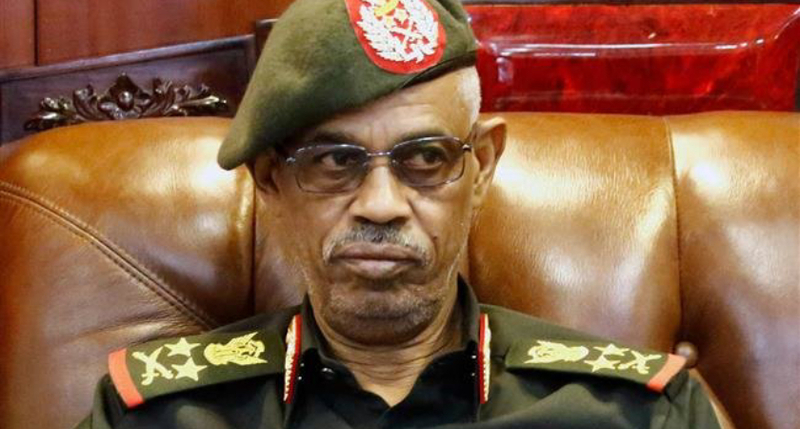 After less than 30 hours in power, Head of Sudan’s military council Gen. Awad Mohamed Ibn Auf decided to step down. Sudan’s Defence Minister Awad Ibn Auf today announced his decision to step down as chief of the transitional military council. It comes after protesters refused to deal with the military coup led by the defence minister, who is too close to Mr Bashir. The opposition protesters led by the Sudanese Professionals Association (SPA) demands an immediate transfer of power from the Military Council to a civil government. “We are seeking the immediate transfer of power, not a month or two years later. The forces that are seeking reforms have specific demands on following the democratic path that will solve the corruption issue and other problems that resulted from the rule of the salvation government [of former President Omar Bashir]”, said Mohammad Youssef, a member of SPA. The army, however, insisted that it is not seeking power and Sudan’s future would be decided by the protesters. Protesters claim that that members of the military council had been a part of Bashir’s elite. Gen. Awad Ibn Auf was head of military intelligence during the Darfur conflict. Youssef pointed out that there was no legal basis for forming the military council and called on all political forces and the army to reach agreement on forming the government. According to Youssef, the Sudanese people are against the curfew imposed after the Thursday coup. Sudan has seen months of protests that erupted in the country in December. The rallies were initially triggered by the rise in prices for bread and other consumer goods that greatly increased the vulnerability of Sudanese citizens. The protests then took on a new dimension as Sudanese citizens started calling for the resignation of Bashir, who has been in power for nearly 30 years.